MUFF WIGGLER :: View topic - Preamp for processing sounds. I tried playing with the envelope follower on the VCO and WFC today but my ipod puts out a puny signal. What do folks use? I just need gain for processing external sounds. I am sure my Machinedrum will be loud enough, as will anything coming out of my MOTU 828. Something small, cheap and effective please! Eurorack is no good to me at the moment. Does anyone have the ART stuff? 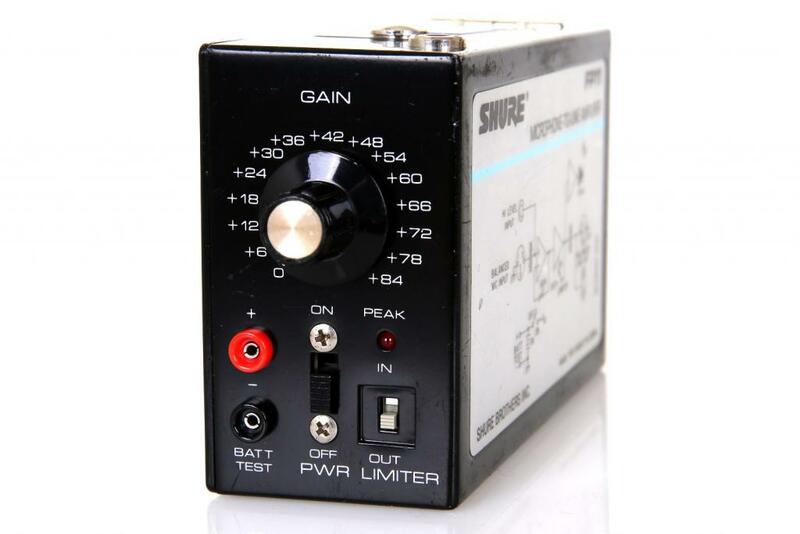 They do a basic but well specced 1in 1out preamp for Ã‚Â£32. how much gain do you need? would a headphone amp like this do it? mxr microamp pedal is easy and simple. it is even endorsed by Rex for use with Serge! I honestly don't know how much gain I would need, hence asking on the Wiard board. I did have the same problem in Eurorack though. ipod signals are very quiet once they step into modulars. It don't mind if it goes a little overboard and distorts. The ART stuff looks good. ART gear is pretty bad and will color things a bit but since you are not coming from low mic levels they may not be as problematic. iPods are at line level so you will need only about 10x gain or so at max. Hi, i'm bringing this topic back from the dead if you don't mind. When used on synths, will the MXR Micro Amp color the sound or give it some "punch/edge", or will it be transparent in any circonstances ? the ipod is outputting a headphone signal. radial probably make a great headphone out to line level adaptor thingy (possibly with gain). In the FRAC world we use the Blacet I/O modules. Also Bugbrand used to make the DD3 VCA/Drive Module This module was offered in Banana or 3.5mm. Maybe consider the discontinued Shure FP11? Built like a tank, tons of gain, limiter, battery powered, 3.5mm input and BELT CLIP!!!! Check eBay, right now there is a new old stock one for $110 and some beat up ones from $40 to $75. I think it may be on the noisy side (I haven't used it in a while) and there is no phantom power so dynamic mics only.